Barren Hill Brewery & Restaurant. 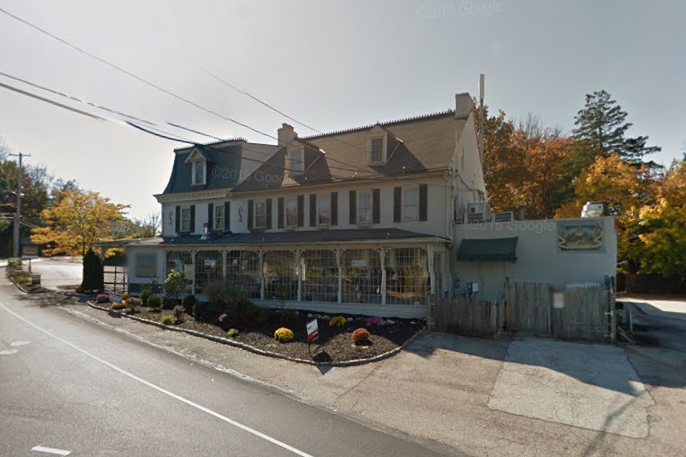 Sad news: Barren Hill Tavern & Brewery in Lafayette Hill is up for sale, Philly.com has confirmed. The spot, which opened just over two years ago, isn't selling because business is bad, though. In fact, it doesn't even plan to close. Instead, the reason for the sale is that Erin Wallace, who opened the eatery in the former home of General Lafayette Inn, is divorcing her husband and partner, Scott. Alas, and so it goes. Wallace also owns popular spots Devil's Den and Old Eagle Tavern, which will not be affected by the sale. Are you in the market for an inn with a liquor license and brewing set up? Check out the listing, which puts the property at $1.85 million.